Term four is an exciting time at MAV as we build up and prepare for the annual conference MAV18. Don’t forget to register now, as registrations close on Friday this week. We are also planning our professional learning program for 2019, and have a fantastic line-up already booked in to ensure we deliver value to all mathematics educators across Victoria. Stay tuned! MAV18 Conference online registration closing Friday. Online registrations will close this Friday 23 November. Sessions are filling fast with some already sold out. 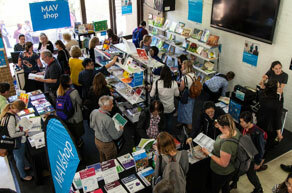 Don’t delay in booking in for the MAV18 55th annual conference at La Trobe University on Thursday 6 and Friday 7 December. This year’s conference theme is Teachers Creating Impact. You should have received your membership reminders for renewal for 2019. Please renew without delay in order to support MAV to continue its work. For those who are not members, you can join now to access benefits immediately, and for the full 2019 membership year. 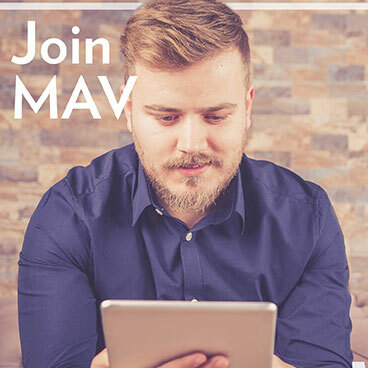 Thank you to those who recently completed the MAV stakeholder survey. Your feedback is invaluable to refining our programs and services. The Membership, Marketing, and Communications Committee we will be reviewing the results in detail, and incorporating feedback into our strategic plan initiatives. The prize winners were drawn at MAV on Monday, 19 November 2018. All prize winners have been notified. MAV is pleased to have a number of its programs and services appear in the new stem map, produced by the Victorian Lead Scientist, Amanda Caples. This map shows exciting programs and activities across Victoria to encourage young people to engage with STEM. 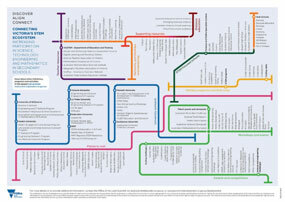 It provides a navigational tool to enable connections across the system. MAV contributes to the system through programs such as girls and stem days, maths games days, maths camps, professional learning, and various other events. Read more about it and see the map here. The annual VCAA Examination Feedback Survey for teachers has commenced for 2018. This survey is open to all teachers of Unit 3 and 4 and scored VCE VET programs. It provides the VCAA with important feedback about the quality of the 2018 end-of-year written examinations. The data from the survey is provided to the 2019 examination development panels and is an important component of the VCAA’s commitment to continuous improvement. The online survey takes around 10 minutes to complete and is open until Monday 26 November 2018. A position for VPS6 Curriculum Manager, Mathematics F-10, Fixed Term, Full time (1.0) for 12 months is now advertised on the HR Web and Careers Vic Website, applications close on 22 November 2018. Click on the link below to view the position details: https://jobs.careers.vic.gov.au/jobs/VG-DET-VCAA-1365875. Do you have what it takes to solve a real-world maths problem? Heading into its fourth consecutive year in Australia, the International Mathematical Modelling Challenge is a team competition for up to four secondary students and one team advisor that aims to promote mathematical modelling to solve problems of real-world importance. Since 2016, participation numbers have tripled each year, making this widely popular and completely free to enter challenge essential for mathematical modelling for secondary schools in Australia. To register your interest for 2019 click here. MAVshop will be back at the conference, bigger and better than ever. We have a number of new products in 2018 which you will be able to browse and purchase. Eddie Woo will also be present at MAV shop, on the day of his keynote, and will be signing copies of his new book (limited copies will be available). Ensure you bring a school purchase order number for school-based purchases. Otherwise cash and card are both accepted. Interested in differentiation in the mathematics classroom? Check out these new titles!